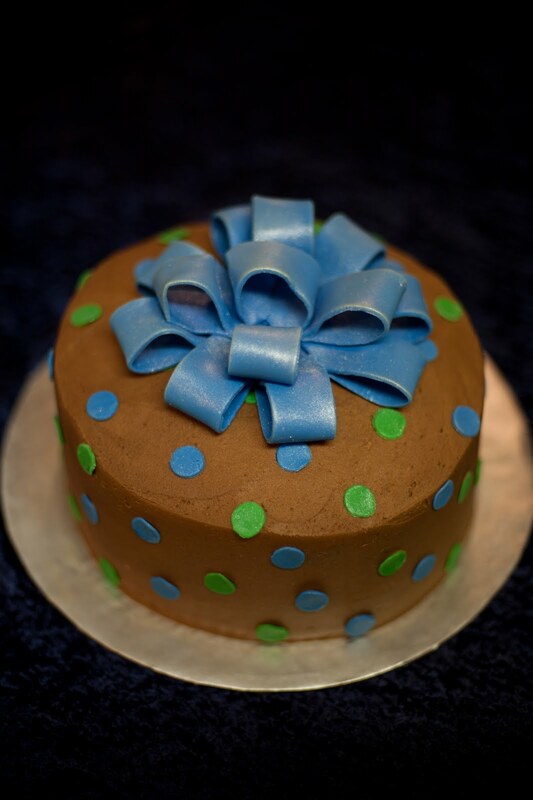 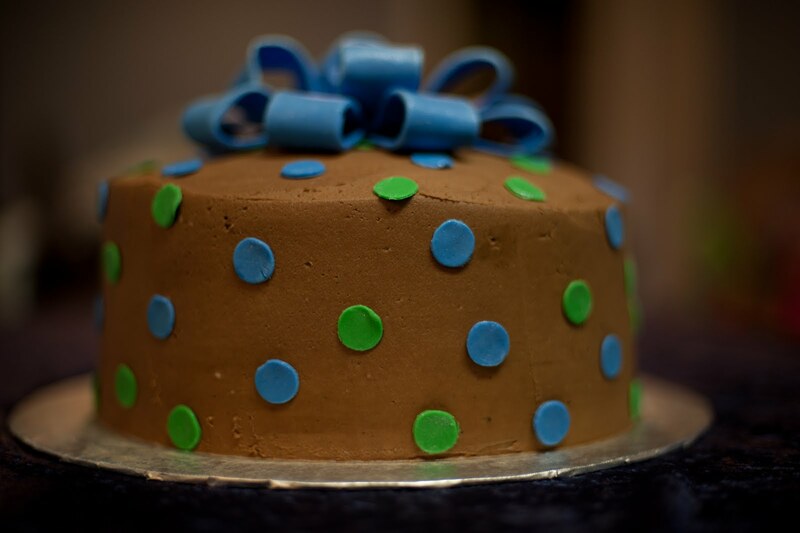 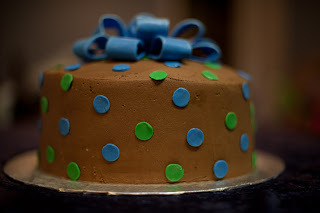 This is a chocolate cake with chocolate buttercream icing. 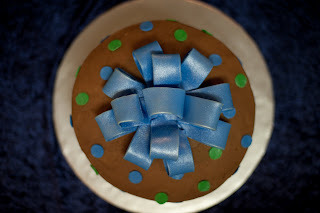 It was made for a "going-upstairs" party for my mom at her office. The polka dots and bow are fondant and dusted with silver pearl dust.